Thanks to those of you who came out for last night’s first official planning session! We had an opportunity to tour the space where the beds will be built and brainstorm goals and next steps for the garden. We will be announcing the first official work party soon, after which we will schedule a weekly work party and also create a system where people can drop in to work at times that are convenient for them, using a list of identified tasks and making notes on what they did in an on-site notebook. We have reached out to some local organizations to see if they are interested in donating, but if you have any leads on where or how to get some of these goods for little or no cost, please email millercommunitygarden@gmail.com. Thanks to Becca for running last night’s meeting – it’s exciting to see this project take shape and it couldn’t happen without the Seattle Parks Department’s dedicated efforts. Until next time… a very happy and sunny Seattle weekend to you all! 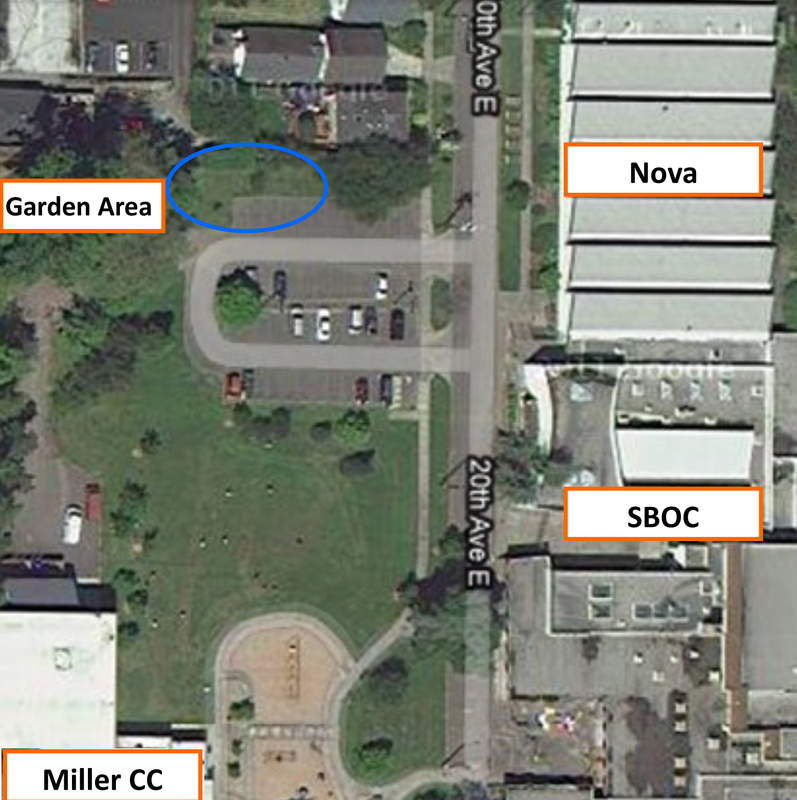 Just a friendly reminder that the first planning session for the Miller CC garden is tonight at 6 pm at Miller Community Center (19th and Harrison in East Capitol Hill). We’ll take a tour of the soon-to-be-garden and strategize what and how to plant. We’ll likely finish before 8. Vegan-friendly snacks and drinks provided. 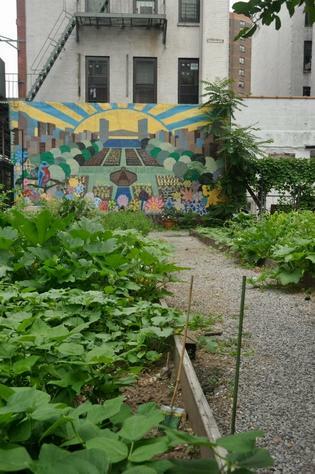 Harlem's Carver Community Garden; photo courtesy of Grist. Today’s edition of Grist included a short but sweet story about community gardening in New York. Although we can’t relate to the heat wave they’re experiencing (how often must I remind myself to be grateful that 60 degree weather doesn’t kill old people as I look longingly at the red areas on the weather forecaster’s map!) we can certainly draw inspiration from this article, as well as a sense of solidarity knowing that community gardens are making a difference everywhere. And don’t forget to come out for tomorrow’s planning party at Miller Community Center from 6-8! Hello community gardeners – long time no post! My apologies for the extended absence – I’ve been busy enjoying this wet summer of ours. Here’s a status update on the garden. The Seattle Parks Department broke ground yesterday, clearing all the turf from the garden area. Next week the entire site will be graded and mulched. The next step will be to build the beds, which the Parks Department is aiming to complete during the last week of July. The planning meeting is still on for next Thursday, July 21, at 6 pm at Miller CC. If you would like to come but haven’t RSVPed, just let us know by sending an email to: millercommunitygarden@gmail.com. It’s exciting to have movement on the project!